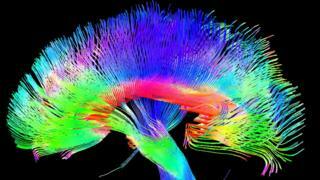 Is the human brain really just complex machines? In an infamous memo written in 1965, the philosopher Hubert Dreyfus stated that humans would always beat computers at chess because machines lacked intuition. When the IBM computer, Deep Blue defeated the world chess champion Garry Kasparov in May 1997 many claimed that chess was a boringly logical game. Computers didn’t need intuition to win. Not Daniel Dennett. His first academic paper, published in 1965, explained clearly why he thought Dreyfus was wrong. In an interview with BBC Radio 4’s The Life Scientific, Dennett says there’s nothing special about intuition. “Intuition is simply knowing something without knowing how you got there”. Never one to go with the flow, aged just 19, he sought to undermine the work of his supervisor, Willard Quine. Dennett’s supervisor was one of the most respected figures in 20th century philosopher – a thinker eminent enough to appear on US postage stamps. Dennett blames the philosopher Rene Descartes for permanently polluting our thinking about how we think about the human mind. Descartes couldn’t imagine how a machine could be capable of thinking, feeling and imagining. Such talents must be God-given. He was writing in the 17th century, when machines were made of levers and pulleys not CPUs and RAM, so perhaps we can forgive him. Our brains are made of a hundred billion neurons. If you were to count all the neurons in your brain at a rate of one a second, it would take more than 3,000 years. Our minds are made of molecular machines, otherwise known as brain cells. And if you find this depressing then you lack imagination, says Dennett. “Do you know the power of a machine made of a trillion moving parts?”, he asks. “We’re not just are robots”, he says. “We’re robots, made of robots, made of robots”. Consciousness is real. Of course it is. We experience it every day. But for Daniel Dennett, consciousness is no more real than the screen on your laptop or your phone. The geeks who make electronic devices call what we see on our screens the “user illusion”. It’s a bit patronising, perhaps, but they’ve got a point. Human consciousness is the same, says Dennett. “It’s the brain’s ‘user illusion’ of itself,” he says. It feels real and important to us but it just isn’t a very big deal. “The brain doesn’t have to understand how the brain works”. We acknowledge that some of our behaviour is due to our animal nature, (albeit generally not the aspects we are most proud of). Our more special qualities, our intelligence, our insight and creativity, we like to think, must have more special causes. Biology describes the behaviour of animals not civilised human beings. But we are animals. Our brains, like our bodies, have evolved over hundreds of millions of years. They are the result of millions and millions of years of haphazard trial and error evolutionary experiments. From an evolutionary perspective, our ability to think is no different from our ability to digest, says Dennett. Both these biological activities can be explained by Darwin’s Theory of Natural Selection, often described as the survival of the fittest. We evolved from uncomprehending bacteria. Our minds, with all their remarkable talents, are the result of endless biological experiments. Our genius is not God-given. It’s the result of millions of years of trial and error. When a bacteria moves towards a food source, scientists don’t praise the bacteria for being clever. That would be highly unscientific. But when scientists describe thinking as a biological activity, they risk ridicule or outrage (depending on the company they keep). Such fierce reductionism offends. How naïve to suggest that there is nothing more to the human mind than a bunch of neurons! Computers in the 1960s were not very good at chess. Now they play the saxophone like John Coltrane. In this digital age of supercomputers and smart phones, surely it isn’t so difficult to imagine how a machine made of a trillion moving parts might just be capable of being human. The Life Scientific is broadcast at 09:00 BST on Tuesday 4 April on BBC Radio 4.